These Isolated Signal Conditioning products convert and amplify from a variety of signals and provide a scaled Voltage or Current output. Three-way 3000V isolation is provided to protect your systems from damage due to fault conditions/wiring and common mode issues. Types available include Thermocouple, RTD, Strain Gauge along with Voltage or Current Input. An Isolated Power Module is also in the range which can provide isolation and a stable output (+/-2%) if the DC power available is noisy/unstable or could potentially be subjected to high voltages. The SG-3011 Isolated Thermocouple Input Signal Conditioning module is a Thermocouple Input to Voltage or Current Output unit. The SG-3013 is a RTD input signal conditioning module to transform RTD input to voltage or current output. SG-3013 uses a microprocessor-based transducer, which integrating two high resolution ADCs and an MCU, to acquire the RTD signal. The SG-3016 Isolated Strain Gauge Input Signal Conditioning module is a Voltage Input to Voltage or Current Output unit. It has 1000V 3-way Isolation for Input, Output and Power sections offering excellent protection for the connected electronic systems. The SG-3071 Isolated DC Voltage Input Signal Conditioning module is a Voltage Input to Voltage or Current Output unit. It has 1000V 3-way Isolation for Input, Output and Power sections offering excellent protection for the connected electronic systems. The SG-3081 Isolated Current Input Signal Conditioning module is a Current Input to Voltage or Current Output unit. 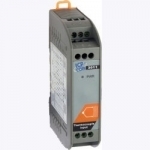 It has 1000V 3-way Isolation for Input, Output and Power sections offering excellent protection for the connected electronic systems. Isolated DC Power Module with 1000 Vdc isolated protection. It accepts non-regular DC input (18~36V) and provides a stable 0-5V dc output. Isolated DC Power Module with 1000 Vdc isolated protection. It accepts non-regular DC input (18~36V) and provides a stable +/- 5V dc output. Isolated DC Power Module with 1000 Vdc isolated protection. It accepts non-regular DC input (18~36V) and provides a stable 0-12V dc output. Isolated DC Power Module with 1000 Vdc isolated protection. It accepts non-regular DC input (18~36V) and provides a stable +/- 15V dc output. Isolated DC Power Module with 1000 Vdc isolated protection. It accepts non-regular DC input (18~36V) and provides a stable 0-24V dc output.